A delightful item which we have recently catalogued is a collection of 58 postcards dating from pre-partition India which was given to us by Cyrus Pherozeshah Mehta (1917-2011). The collection includes mostly black-and-white views from Baluchistan, Benares, Calcutta and the holiday resorts of Simla and Matheran in Maharashtra. 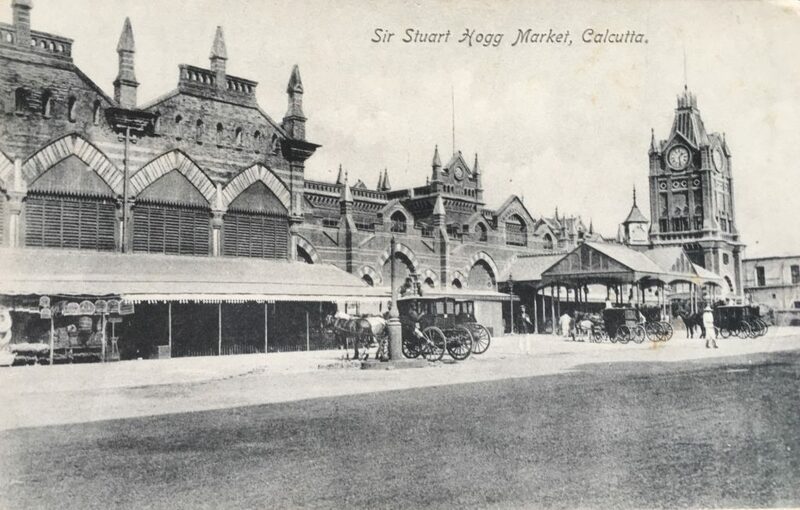 The Sir Stuart Hogg Market, Calcutta. Designed by Richard Roskell Bayne, an architect of the East Indian Railway Company, this Victorian Gothic market complex was begun in 1873. It was officially named after one of its greatest advocates, Sir Stuart Hogg, the Chairman of Calcutta Corporation, in 1903 (AIIT Misc.1.a/29). Cyrus Mehta, who collected these postcards, was born in Surat, Gujarat, on 17 October 1917, though he grew up with his four brothers in Karachi. From an early age he was interested in engineering and in 1936 he began a job at the Empress Cotton Mills in Nagpur (one of the oldest mills, founded by Jamsetji Nusserwanji Tata and only finally closed down in 2002). During the war years, he remained there in charge of No. 3 turbine which produced electricity to drive the mill. After the war, Cyrus settled in the UK, joined by his wife and young child in 1947, and followed a successful career as an engineer from which he retired in 1982. As a devout Parsi Cyrus worked tirelessly for the Zoroastrian community and the Zoroastrian Trust Funds Europe in particular. The Mall, the main street in Simla, capital city of Himachal Pradesh. Note the half-timbered Tudor style-all-wooden frames and shingled eaves (AIIT.Misc.1.a/39). This collection has the shelfmark AIIT.Misc.1.a and can be consulted at the Trust. A complete list of the postcards is also available for download as is a pdf containing low resolution images. 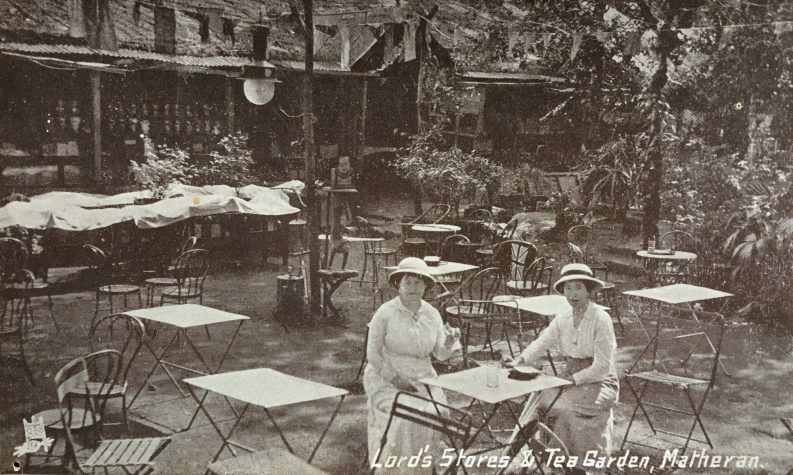 Image at head: Lord’s Stores & Tea Gardens, Matheran, Maharashtra, developed by the British as a popular hill resort to beat the summer heat (AIIT.Misc.1.a/36). I am grateful to Cyrus’ son Ron Mehta for additional biographical information. Delighted to see Dad’s collection has been put to good use. As his daughter I know how much he wanted to share this and the information about Zoroastrianism he collected during his life. I am Uncle Cyrus’s niece and I am thrilled to see the collection. 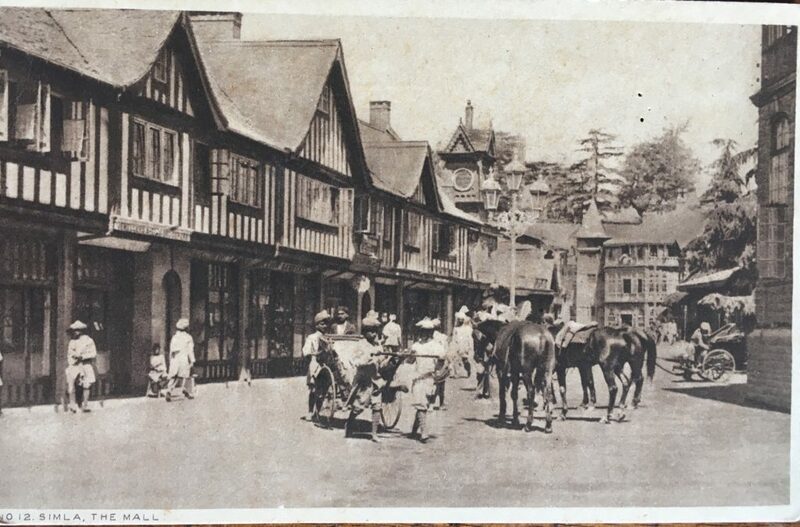 The photograph of the Mall at Simla reminds me of the boarding school my husband Noshir attended in Simla. Thank you for allowing me to see this collection.